In the fall of 1998, Gun Owners of Vermont fought long and hard to help VAST (The Vermont Association of Snow Travelers Inc.) keep their snowmobile trails open in the Champion lands while the new owners were trying to close up tens of thousands of acres. Although the purchase didn’t affect traditional hunting and firearm use on the land we felt that VAST had as much right to use it as we did. Due in part to our efforts the snowmobile trail use has been preserved. 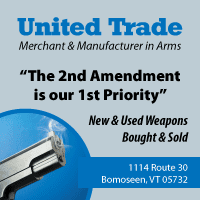 We are extremely troubled that we have to report that the Vermont Association of Snow Travelers Inc. (VAST) has turned anti-gun. In December 2009, one of our members, Mike Dente, attended a Trails Committee meeting and was asked to examine a map. His jacket was open and as he leaned over to look at the map his holstered side arm was revealed. Mike was present for approximately 20 minutes and then left. The next week , due to an unnatural fear of firearms, at the Board of Directors meeting voted (without checking with their affiliated chapters) to ban all firearms on all VAST properties. Their definition of VAST properties means any building or structure owned or leased or under the control of VAST. They have also prohibited firearms in any vehicle owned, leased or under the control of VAST. This means that if a person is helping to maintain trails for VAST they are not allowed to have a firearm with them for self defense. This is in direct violation of Vermont law title 13, ss2305 which states in part that “If a person kills or wounds another under any of the circumstances below, he shall be guiltless. 1) In the just and necessary defense of his own life or the life of his or her husband, wife, parent, brother, sister, master, mistress, servant, guardian, or ward or 2) In the suppression of a person attempting to commit murder, sexual assault, aggravated sexual assault, burglary or robbery, with force or violence. They are also denying you your rights under the Vermont Constitution, chapter 1, article 1, which states “That all persons are born equally free and independent, and have certain natural, inherent, and unalienable rights, amongst, which are the enjoying and defending life and liberty, acquiring, possessing and protecting property. After consulting with Gun Owners of Vermont, Mike Dente went to their February board meeting as a representative of G.O.Vt. and himself. He asked them to get rid of their antigun policy. Instead they altered it. Now it stipulates that no firearms are allowed in any VAST buildings. 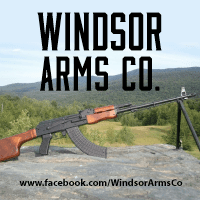 What will VAST do if they find you with a firearm on their property? They will call the police and have you arrested. In March of 2010, G.O.Vt. vice president Neil Randall and legislative director Ed Cutler and Mike Dente met with the VAST board and tried to negotiate with them. One of the VAST members tried to justify their actions by claiming that a concealed weapon was intimidating. Ed told them that this was an unnatural fear of firearms and also explained the legality of carrying firearms in Vermont. At the conclusion of the meeting no verdict was reached. After a follow up call a few days later Ed was given a vague answer. The whole problem is now at a standstill. Ed then called Ed Gallo, president of Hunters, Anglers and Trappers (H.A.T.T.) 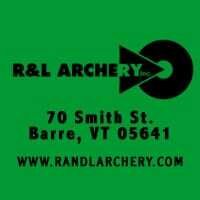 and members of the Vermont Federation of Sportsman’s Club to inform them about what was happening. They were aware of the problem, too. All three of our organizations are in complete agreement with regards to the VAST anti-gun policy. What can you do to help? 1) If you are a VAST member contact your local chapter representative and voice you disapproval of the policy. 2) If you have a snowmobile trail on your property-shut it down. There have been numerous trails closed already in response to this problem and many more to come. If your friends have trails on their property, ask them to close them. 3) Boycott VAST. New Hampshire has some of the finest scenery and trails in New England. The cost is only 68.00 a year. No insurance and no club memberships are needed. 4) Do not open your property up until the anti-gun policy is lifted and tell VAST why you are closing your trails. The VAST anti-gun policy is an insult to the good and honest people of Vermont. The mere possession of a firearm does not make you a criminal. According to the former Commissioner of the Dept. of Safety, Cary Sleeper, 75% of Vermont households have firearms. In 2009, Vermont had zero, nada, nilch firearm related homocides. It is not the abundance of firearms that leads to crime, it is the restriction of them and Vermont is absolute proof of that. For more information contact Ed Cutler at (802)-463-9026 before 9:00p.m.